Lincoln Road’s legend has been around since the 1950s and is rocking it out seeing upwards of 10M pedestrians each year – it’s no shocker that a wave of discount retailers are opening multi-story flagships here. Design District is taking it to the bank with a curated assortment of luxury retailers such as Burberry and Hermes, with a second phase of development to add 60 additional tenants, so if you visit here, don’t forget your black card. Miami offers so much to see and experience. 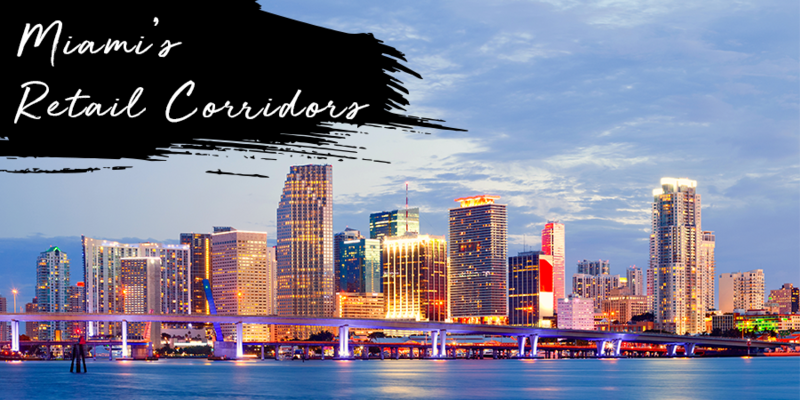 Its shopping corridors host some of the most prestigious brands in the world, so if you are looking for a destination that has art/culture, food and prime shopping, Miami is the place to be. Don’t forget to download our Miami City Retail report to learn about its retail corridors and view its average asking prime retail rents, annual rent growth rates and average cap rate ranges.